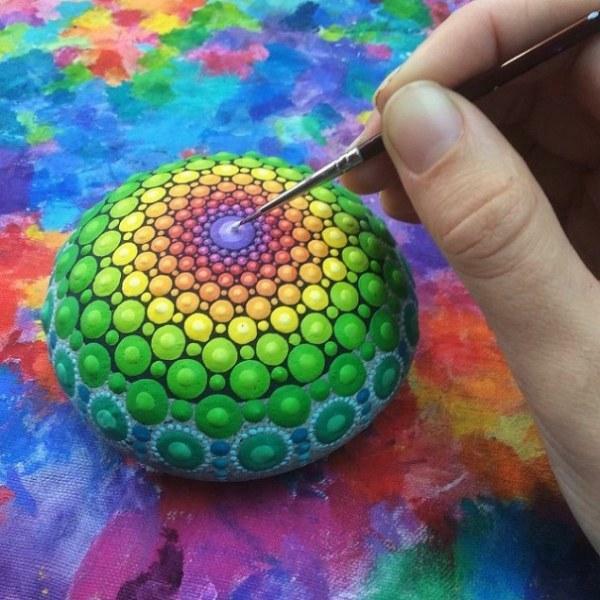 Rockpainting is a wonderful art of decorating stones with colorful paint. 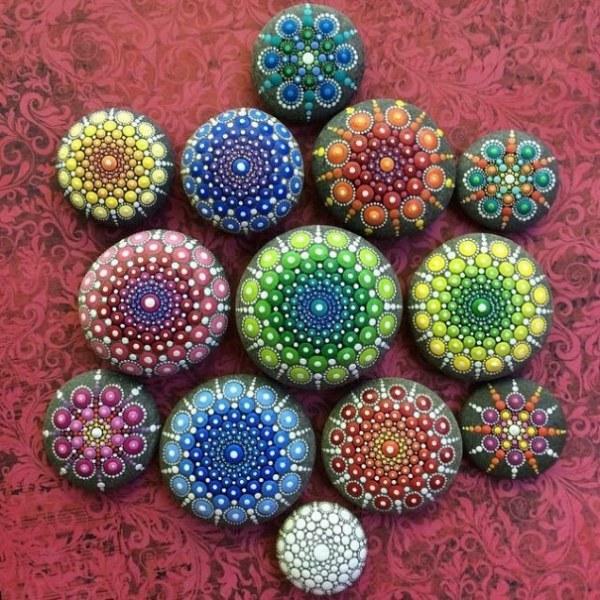 Mandala Stones are fabulous modern artworks and great inspirations for all who enjoy creative and fresh rockpainting ideas. 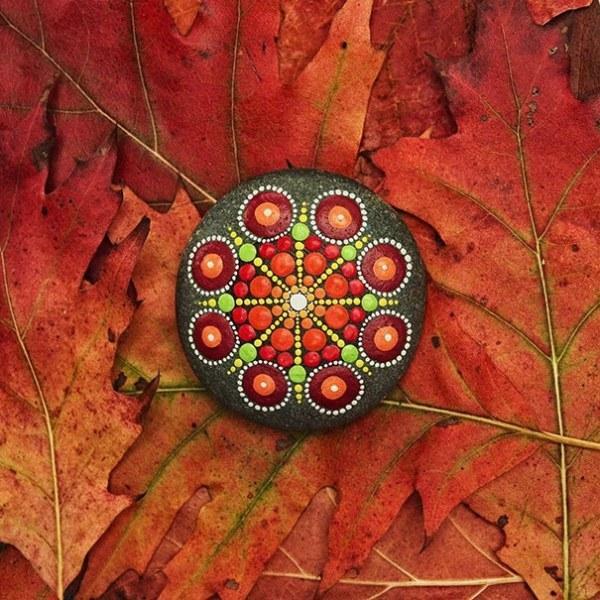 Lushome presents these charming painted rocks with striking designs by young Canadian artist Elspeth McLean. 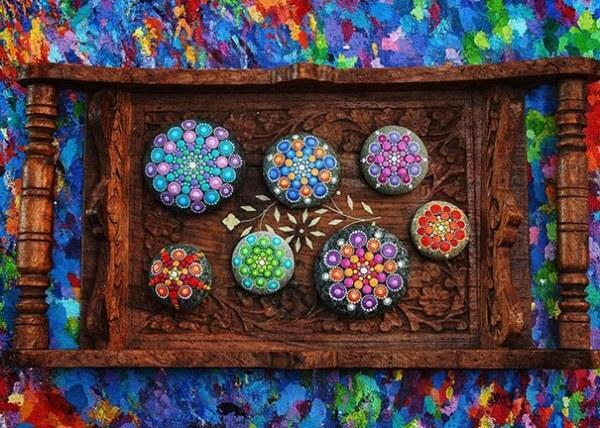 Mandala Stones are perfect interior decorations and eco gifts sold through Etsy. They fascinate people with unusual, bright and colorful designs and fantastic color combinations. 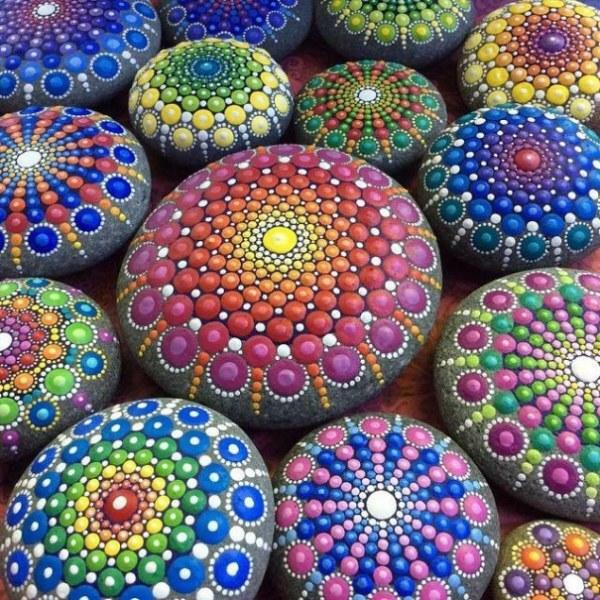 The creative, fresh and interesting rockpainting ideas turn ordinary small stones into amazing works of fine art. 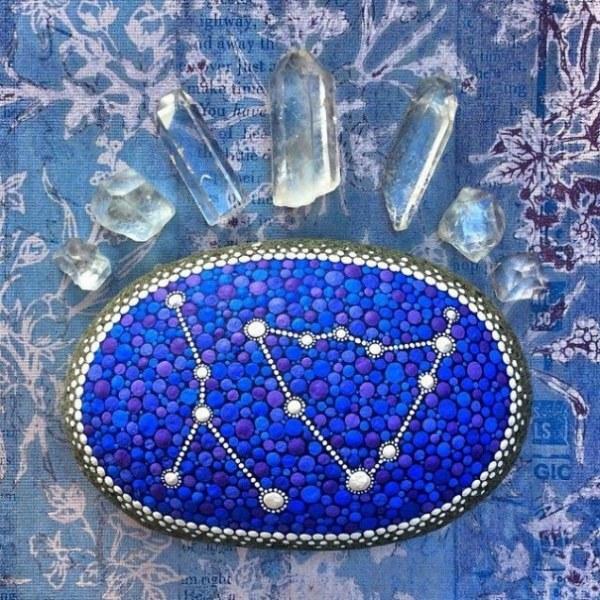 The painted rocks make perfect and unique gifts and elegant home decorations. Stones are mysterious and timelessly stylish decor ideas. These stones have values of art works. 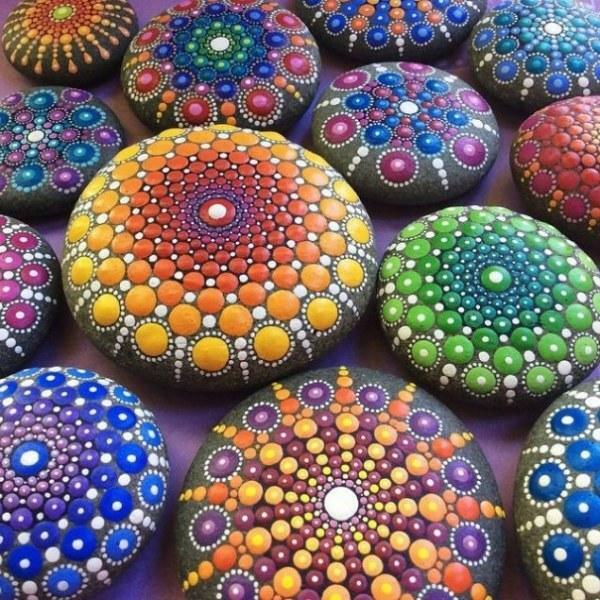 The prices start at around $50 for a stone and depend on their style and intricacy of rockpainting. Ideas for painting vary by themes and color combinations, but use colorful dots for stunning designs. 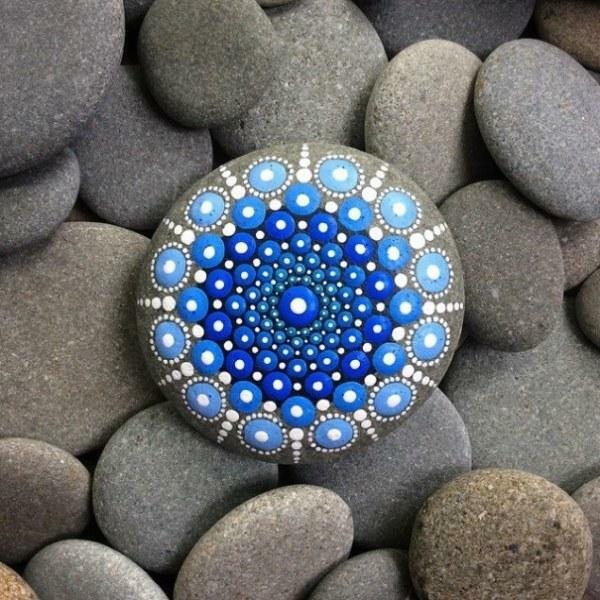 Mandala Stones are shipped worldwide, and it is now cheap for heavy stones. 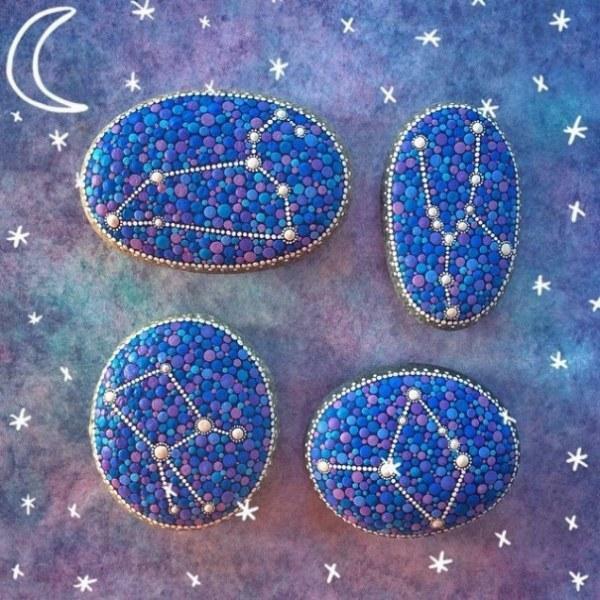 Plus these brightly painted stones with acrylic paint are sealed and varnished than beautifully packaged. 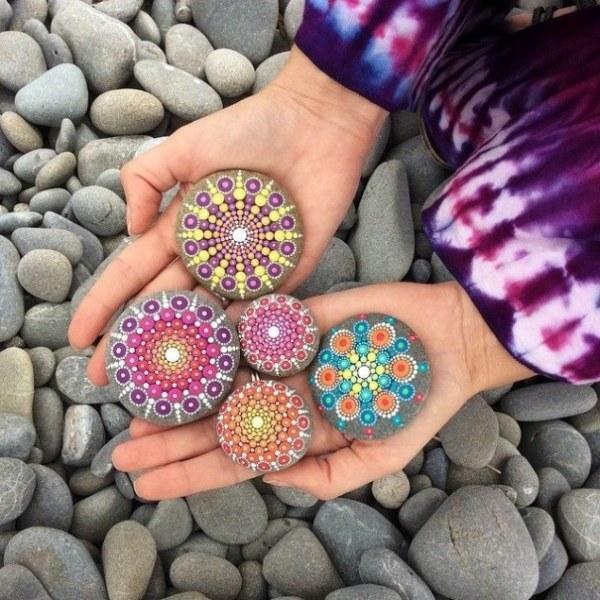 The amazing hand-painted pebbles are truly unique and exclusive. 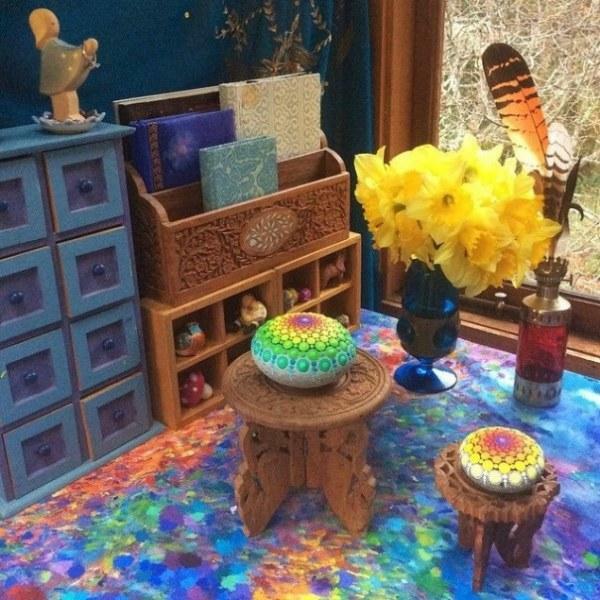 Bright colors, spectacular rockpainting ideas and a touch of artist personality turn stones into beautiful one-of-a-kind items that bring joy into homes.